CPR and BLS both are important part first aid training. I got my fingers crossed while differentiating between the two. After diving deeper down I found that both are too much coupled to each other that many people refer it as same but there do exist a slight difference among them. To begin with CPR it is abbreviated from Cardio Pulmonary Resuscitation, it is applied when a person gets a sudden cardiac arrest by this method a first aid of chest compression by hands is given to the patient to restore the cardio vascular function in combination with rescue breaths if person is not breathing properly. 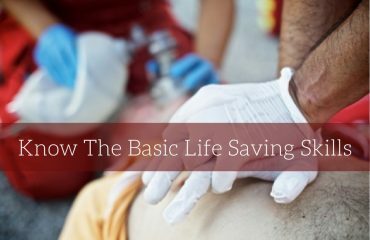 BLS stands for basic life support, it’s an emergency procedure applied to a patient, it comprises of a number of technique like CPR, Shocking, and first aid treatments to sustain patient’s life until advance medical facility arrives or the person reaches hospital. If you take a closer look at the two you’ll notice that CPR is a part of BLS, CPR is a single procedure while BLS is a set of procedures carried out in an emergency situation. CPR being a part of BLS is administered specifically to a person with no pulse and breath. BLS is applied in variety of conditions that are life threatening for the victim. To enlarge the picture in your mind, it is understood that a BLS certified person will also be certified in CPR but it is not necessary that a CPR certified person is also certified in basic life support. To add further in this regard, when a person is clinically dead, he or she has no pulse and no breathes CPR is applied to resuscitate life, and if the revival succeeds BLS is applied immediately to sustain the resuscitated life. These both also differ on the basis of training duration. In United States there are three levels of CPR training, CPR for Adults only, CPR for infants’ children and adults, and CPR for health care providers. At healthcare provider’s level use of an automated external defibrillator (AED) is also taught while training. However BLS has only one level recognized across the country. CPR certified person could be a non-medical degree holder. Some students in high schools should compulsory pass the course of CPR before they graduate although they are not trained in any other health related field. Whereas BLS is generally attended by people who are associated with healthcare, they generally have basic first aid knowledge, and have understanding of medical terminologies. To conclude this both activities are interrelated, CPR support BLS and BLS assists CPR in emergency situations.